Wow! Where has April gone? 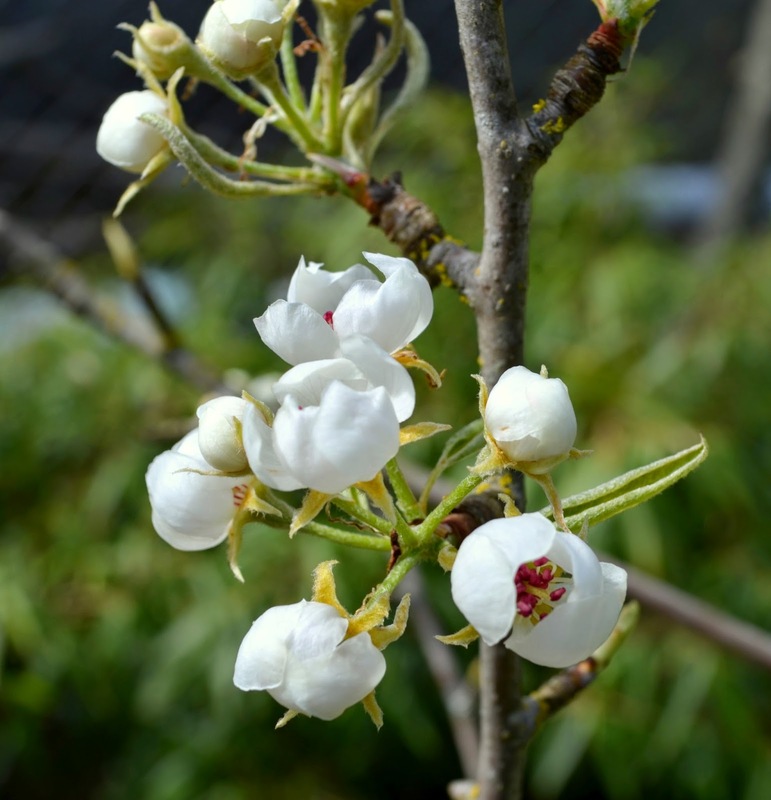 It's that time of the month when Garden Blogger's around the world, collectively show off what is blooming in our gardens. My gardens have gone from blah, to wow! in a matter of two weeks and it's only the beginning of the show. After a very, very wet March, the weather mellowed and April has been more temperate with no frost thus far. Taking front and center of the April blooms is my Old Fashioned Bleeding Heart. I could have 10 of these and still feel like I need more. Pink in early spring is perfect. But blue is necessary in my gardens too. 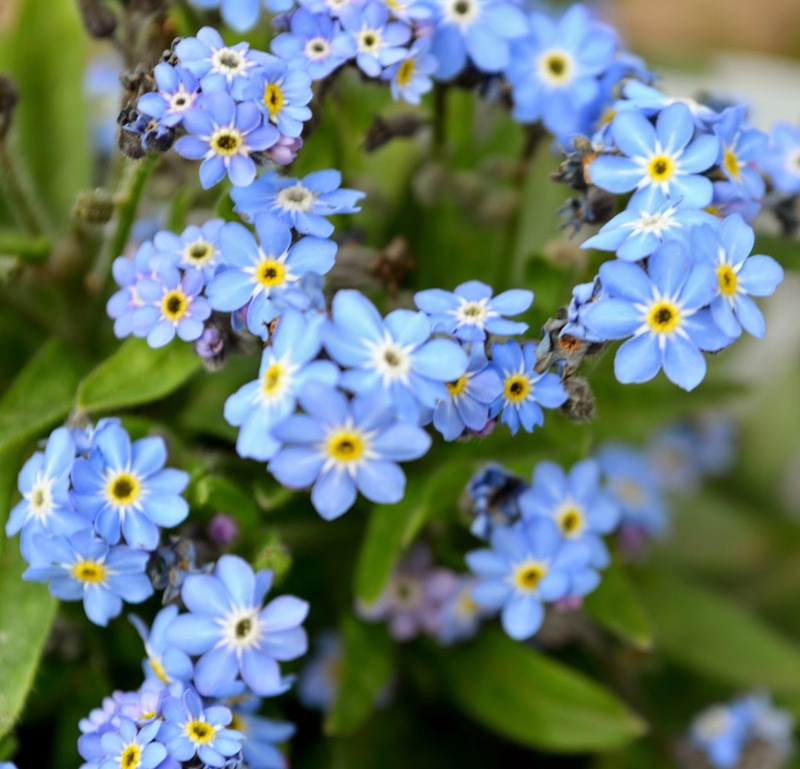 Someday I hope my early spring gardens are a riot of Forget Me Nots. Alas, this year, I broke down and purchased starts of them. I've sown seeds the past two years but have yet to see any results. When the old Star Magnolia tree blooms, it puts on a show that stops you in your tracks. The tree is 70 -80 years old. My grafted pear tree is just a baby yet. It's fun to see different colored blossoms on one tree. Someday it will produce some juicy fruit! 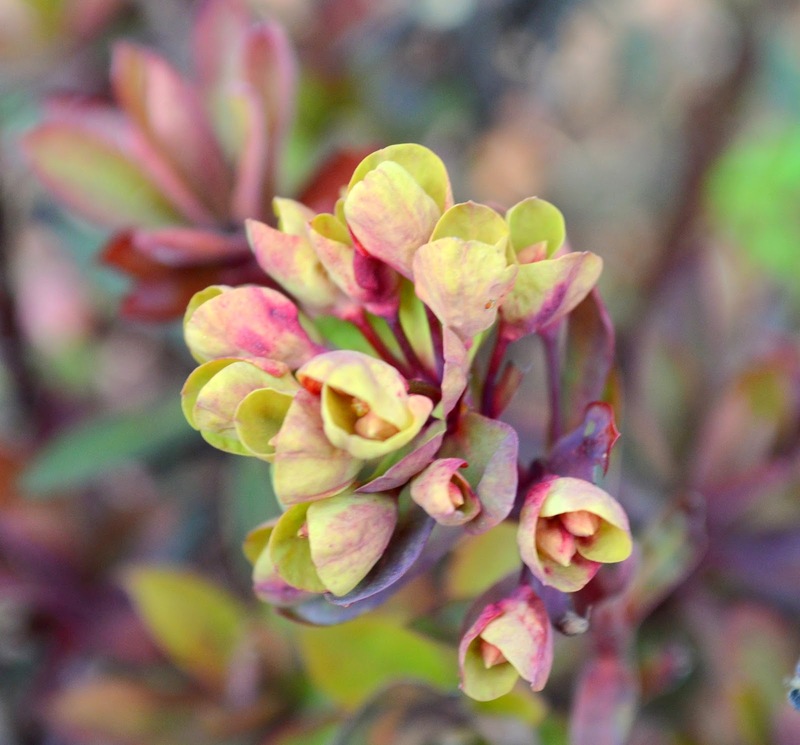 When colors begin to emerge in my gardens after a winter break, I feel my spirits begin to lift. March bloom day is a bit lack luster..well, save my delightful Hellebore collection, but it's April that I feel my gardens really begin to become alive. The days are longer and air is warming up and color abounds. And for this Dutch girl, it wouldn't be spring unless I had a few tulips blooming. Happy Garden Blogger's Bloom day to all my fellow garden bloggers! 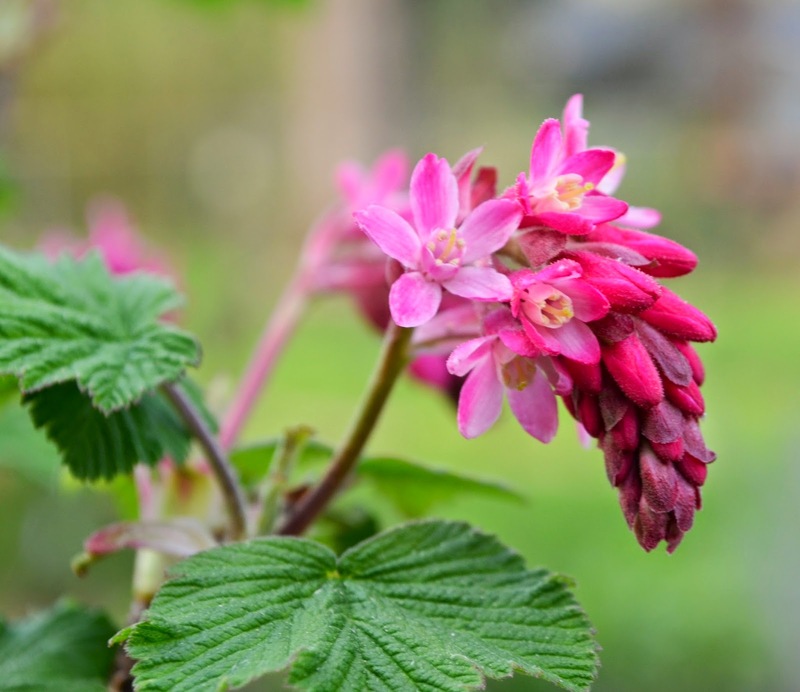 Here's hoping you are enjoying your blooms and that spring is fully embraced you. Visit Carol over at May Dreams Garden to join the fun on the 15th of each month. There is plenty to enjoy in your garden, Jenni! I love the dogwood - absolutely beautiful! Great photos too. Happy GBBD! I am stunned by these beauties. Although none of the above flowers grow in my subtropical climate but we do grow tulips and some euphorbias here. Very crisp pictures. 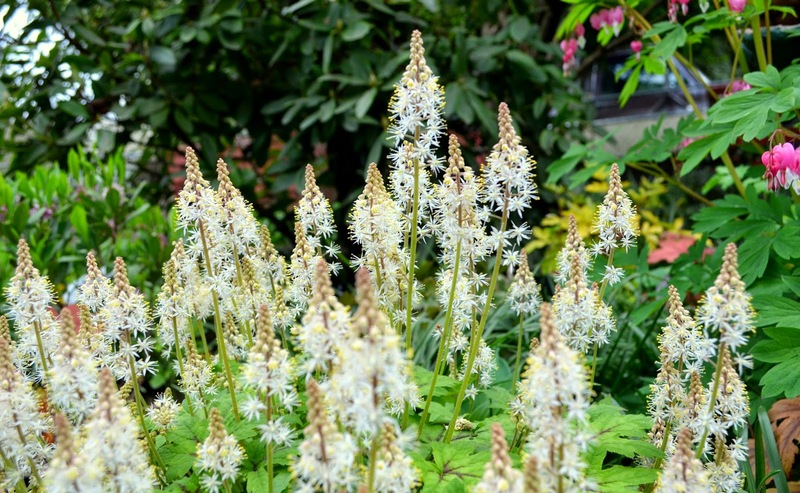 What a profusion of flowers you are enjoying in your garden right now! 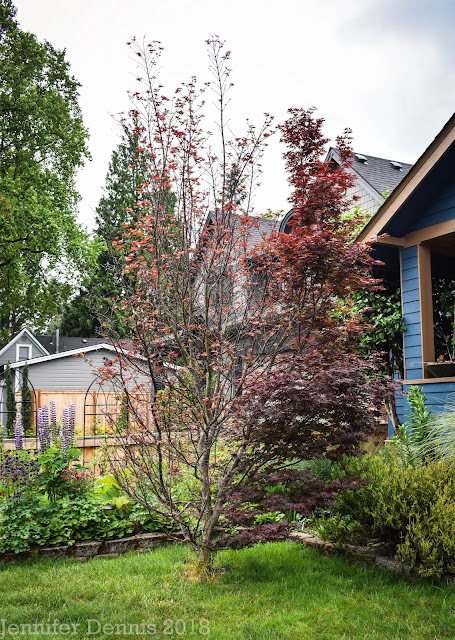 That pink dogwood is amazing - not something that will grow here in the north. 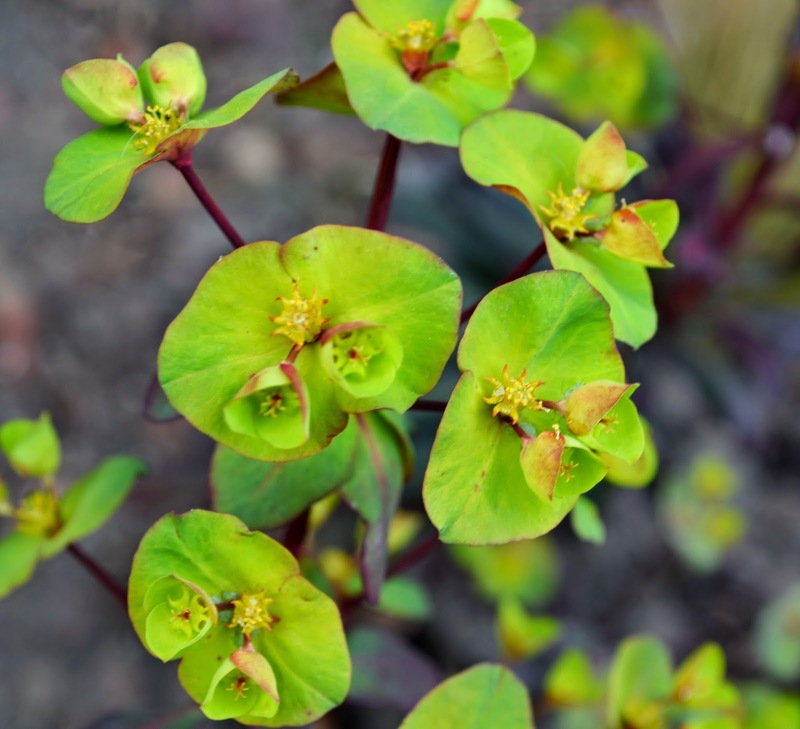 Also love all of your euphorbias. So lovely! Lots of great shots Jenni but that magnolia...wow! I have forget-me-nots to spare. Would you like me to bring you some? Yes!! :) I love them soooo much! What a lovely April garden you have - such a variety of blooms. That dogwood is amazing. I enjoyed my visit. 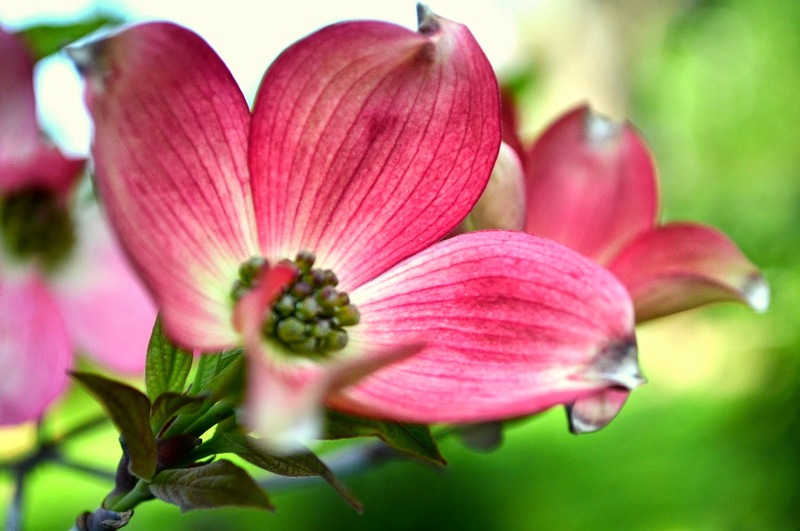 Your Dogwood blooms are so beautiful as well as all your other blooms. I love your a captures of the Euphorbia Blackbird and tulips...lovely! Happy GBBD to you! I love April, too! 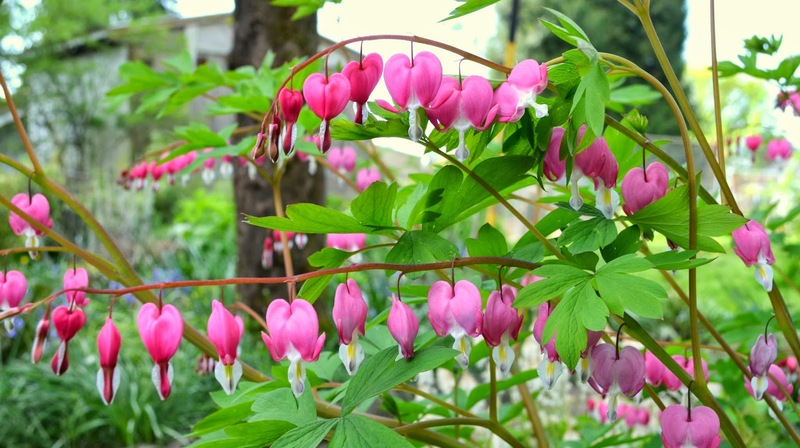 I would like to find a spot for bleeding hearts that they will actually thrive. I tried them in my shade garden last year and I think the soil was too heavy for them, as they didn't come back. Hmmm... maybe I should grow them in pots back there. Happy Bloom Day! Cornus has to be my favourite tree. I grow C. kousa, just coming into leaf now but the flowers will be next month. Lots of buds though. 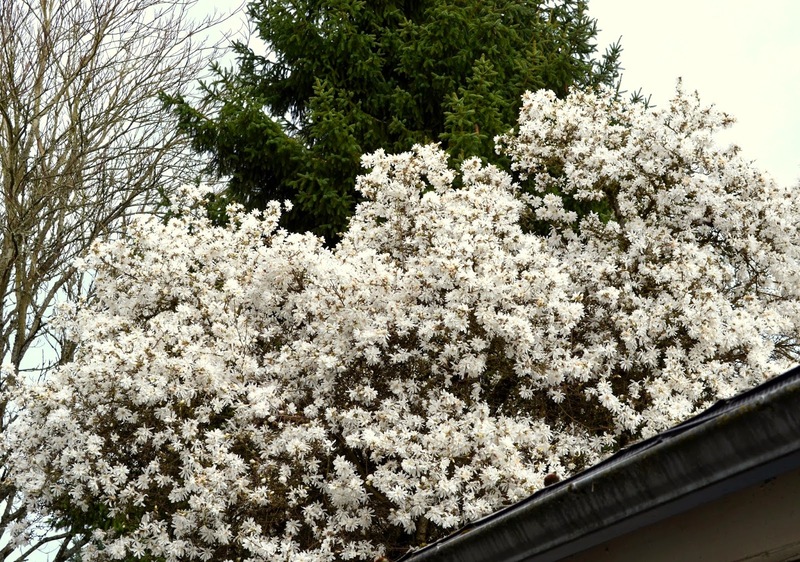 Your Magnolia stellata is just fantastic! The dogwoods are delightful but the magnolia is stunning! Great photography! Happy GBBD! Happy GBBD! I absolutely love Dicentra too! The last week of gorgeous weather was such a lovely gift. April is just the best time in the garden You have some lovely plants in bloom. I am envious of your gorgeous dogwood. As for that Magnolia stellata, I have never seen one as good as that before. Super photos too. I brought one clump of for-get-me-nots from my mothers garden a few years ago…and now …well …you'll find out ! 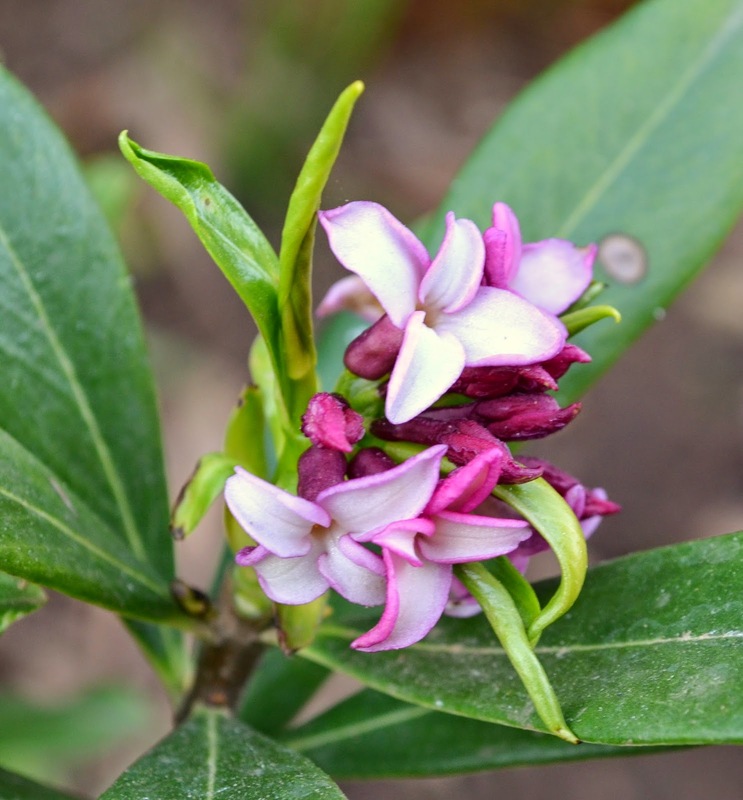 Since I'm also in the PNW, I have many of the same blooms, though I didn't include all of them this month. I do have the riots of Forget-Me-Nots, careful what you wish for, at some point I will be pulling their very abundant mildewed remains. 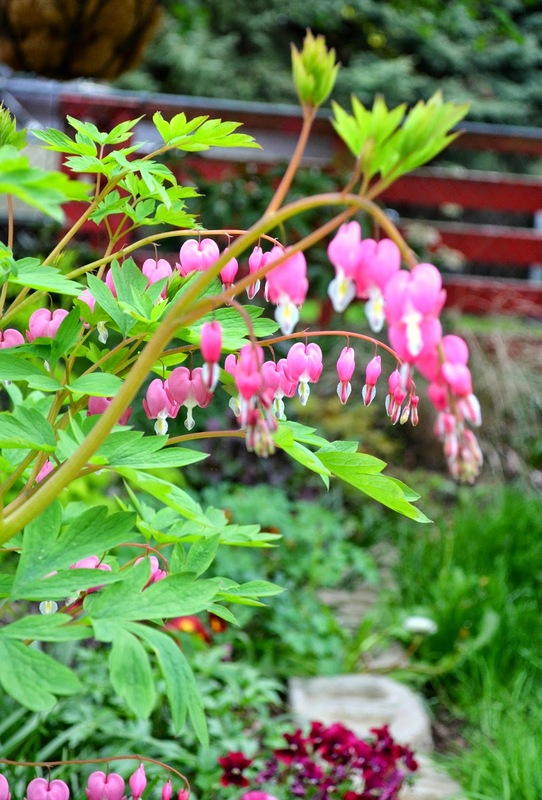 LOL I love your great Dicentra photos, I find them hard to photograph. I could wish for more of them. Some of the newer varieties are pulling at me. 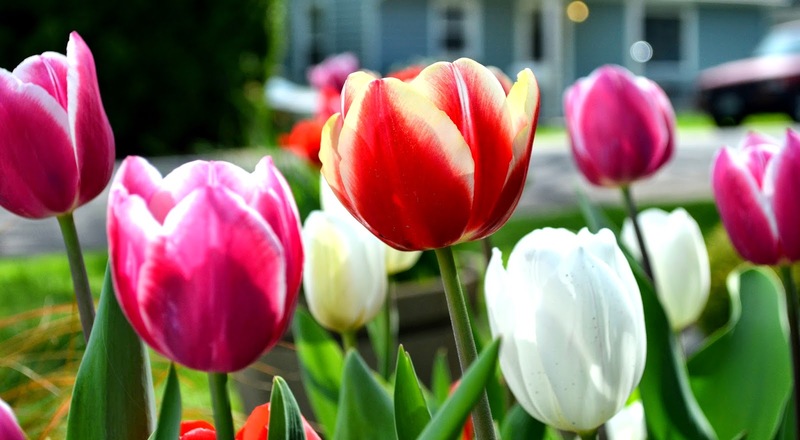 Your colorful Tulips are amazing! Wonderful shots of a blooming garden! Wow is the word. The Star Magnolia and the Cornus are beautiful. I just loved the Tulips as well. Gorgeous! Spring weaves her magic in our gardens and almost makes us forget winter. Well, not today as it feels like winter again brrr! But mostly... That has to be the biggest star magnolia I've ever seen. Totally awsome!